What do you do if you're in the airport and your flight is canceled or severely delayed? 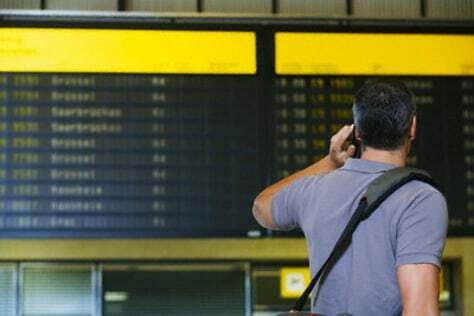 Rather than stand in a long line, use your cell phone to reschedule a flight or get wait listed. You're more likely to get accurate information about departure times and other flights.